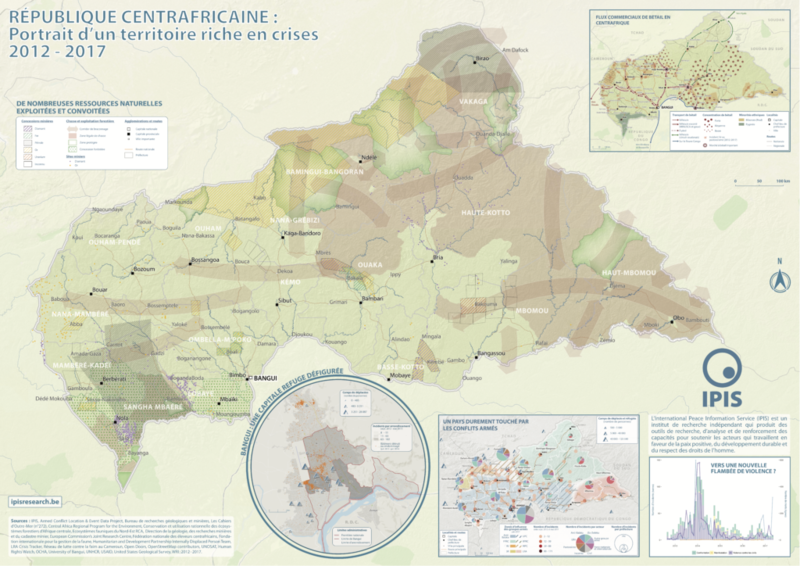 This poster is a compilation of maps and graphics related to the situation in the Central African Republic. 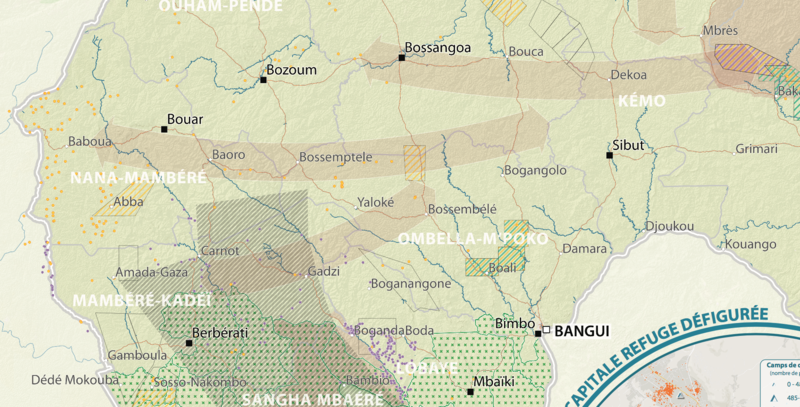 A map of natural resources and poaching corridors presents the known wealth of this country, often considered as conflict drivers in the absence of well functioning state authorities. A small map presents the current armed groups area of influence as well as the number of reported violent incidents per prefecture, while two other maps display a close-up on the situation in Bangui, the capital, and on the links between incidents and pastoralism roads.